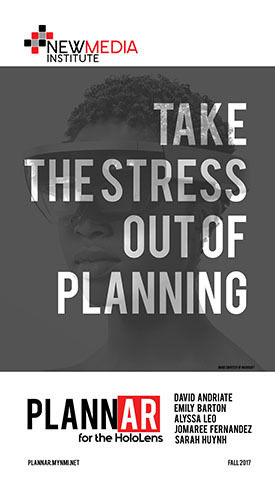 PlannAR is a mixed-reality application developed for the Microsoft Hololens that allows event planners to streamline their projects. By utilizing the Hololens’ spatial mapping technology, users can track their immediate environment and superimpose virtual elements into real spaces. By placing elements like furniture and decorations into the space, event planners can go beyond traditional sketches and blueprints of venues to manipulate and finalize layouts for event spaces.